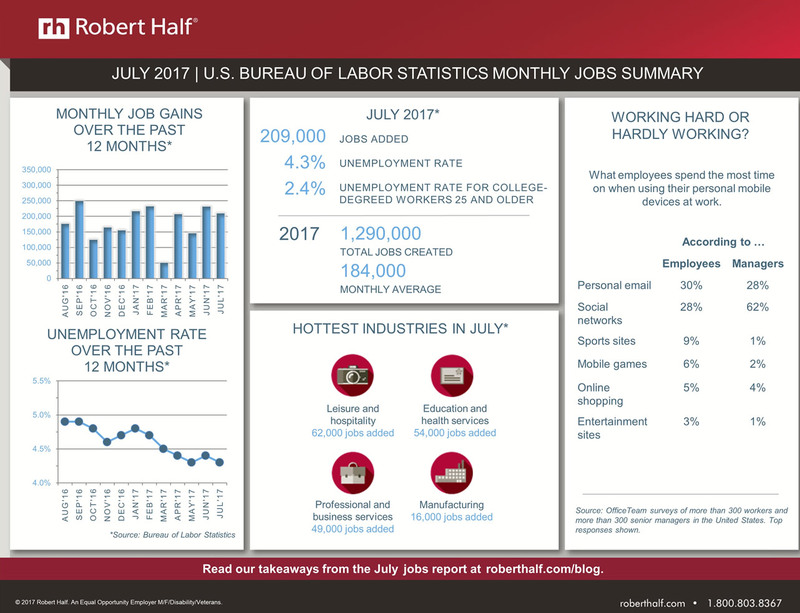 The team at Robert Half put together a nice infographic on last months jobs report. 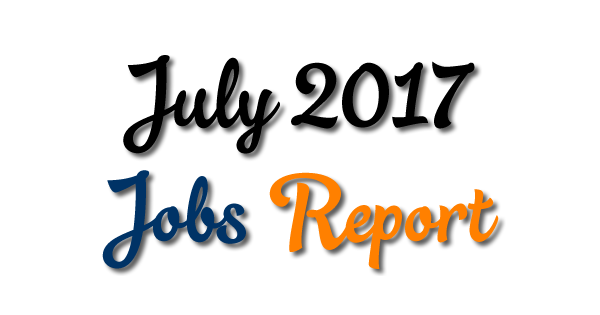 The economy added 209,000 new jobs amid growing optimism in the economy. The Wall Street Journal also reported that “Americans are less likely to be laid off than at any point in the last 50 years“. These are interesting hiring times, to be sure! The unemployment rate is now 4.3% nationwide.